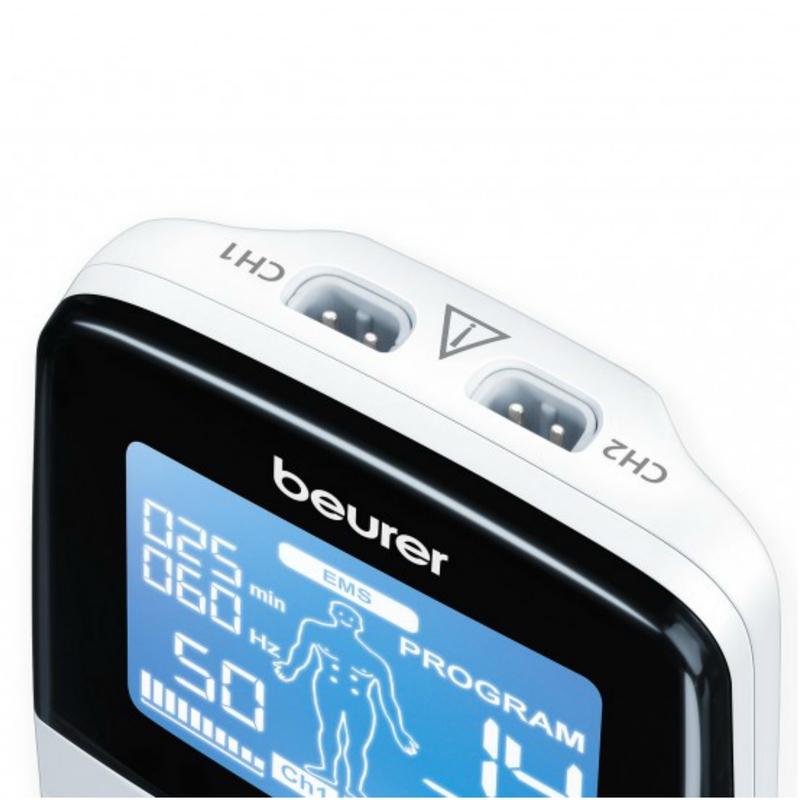 The Beurer EM49 is a clinically certified digital TENS and EMS machine. 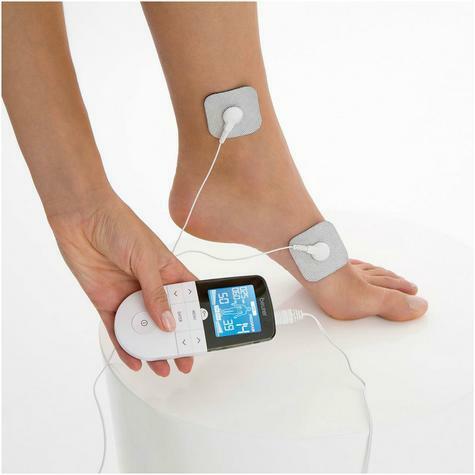 It incorporates transcutaneous electrical nerve stimulation (TENS) for pain relief, electric muscle stimulation (EMS) for muscle rehabilitation and muscle training and massage function for relaxation and wellbeing. 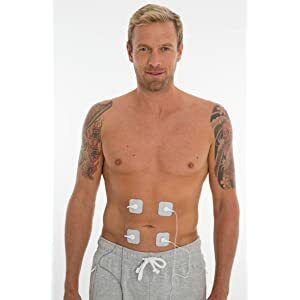 Featuring 4 skin electrodes that carry gentle electrical stimuli, this device can be used for pain relief, firm/rehabilitate your muscles or perform a soothing massage to relax your tired muscles and relieve tension. The EM 49 TENS EMS Massager features a total of 64 programmes, of which there are 12 pre-set TENS, 32 pre-set EMS and 20 pre-set massage programmes. 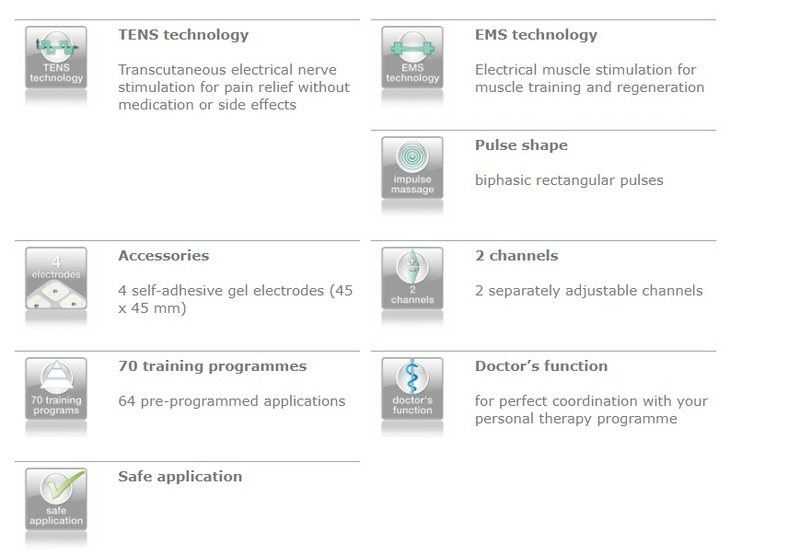 Additionally, you can set various parameters in the TENS programmes 13 - 15 and the EMS programmes 33 - 55, thus personalising these programmes to your own specific TENS and EMS needs. Intensity of all programmes is individually adjustable on both channels, which means that you can stimulate different body areas at different intensity strength, if required. 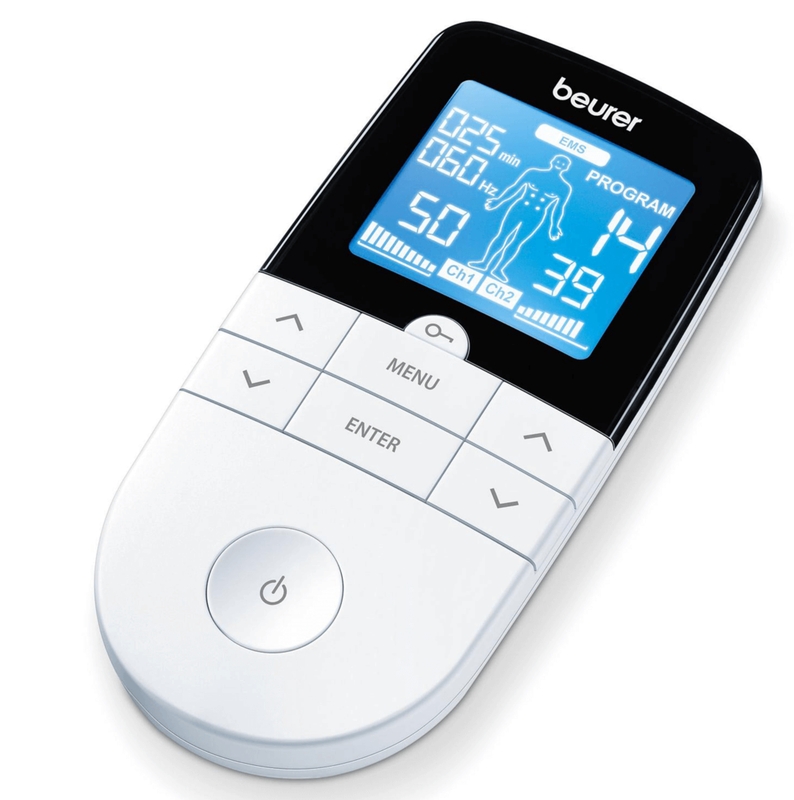 The skin electrodes are positioned for different body areas as illustrated on the back lit LCD screen and the user manual. Beurer EM 49 is a modern digital TENS and EMS machine. It incorporates transcutaneous electrical nerve stimulation (TENS) for pain relief, electric muscle stimulation (EMS) for muscle rehabilitation and muscle training and massage function for relaxation and wellbeing. 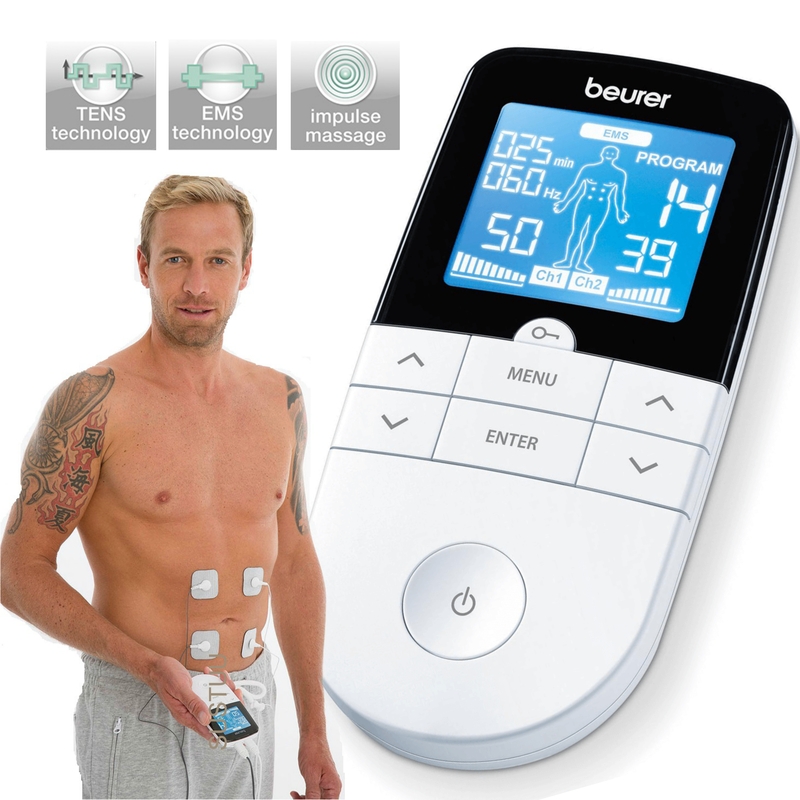 The electrical muscle stimulation (EMS) of the Beurer belt carbon electrodes ensures intensive muscle training. 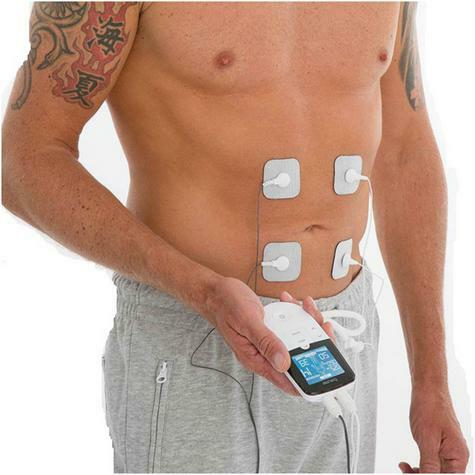 Using this method, the 4 wear-free electrodes transmit electrical impulses to the intended muscle groups. 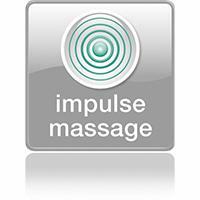 The muscles contract due to the electrical impulses and mimic muscle activity when being exerted. 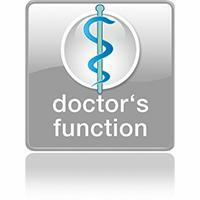 Doctor´s-Function? 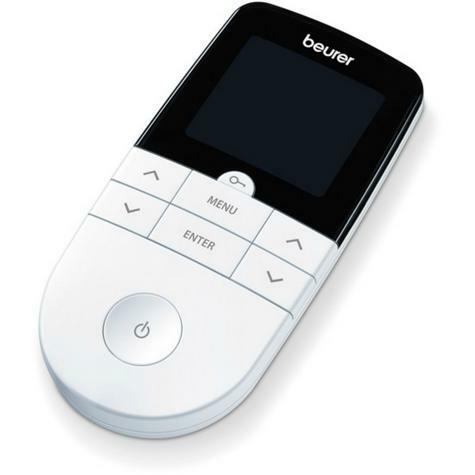 : for ideal coordination with your personal therapy programme. 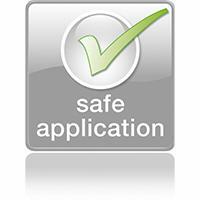 Safe to use, non invasive and no side effects. 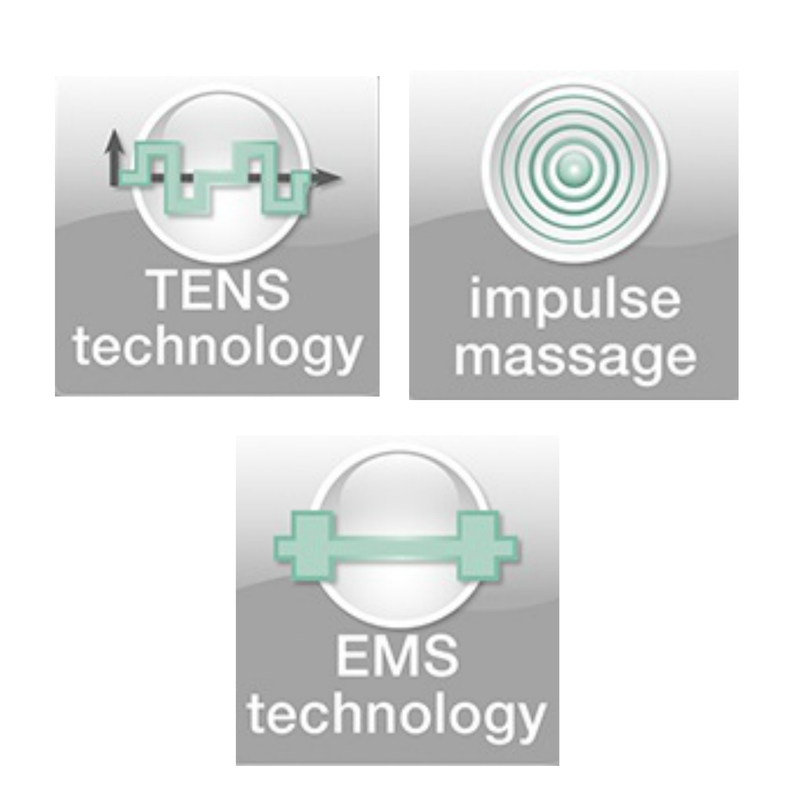 Biphasic rectangular pulses for a massage function. 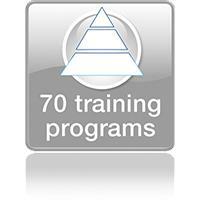 Ensuring you can enjoy the ideal programme for you.